Barely a week passes in Kazakhstan without the authorities somehow creating a public uproar around land-related issues. 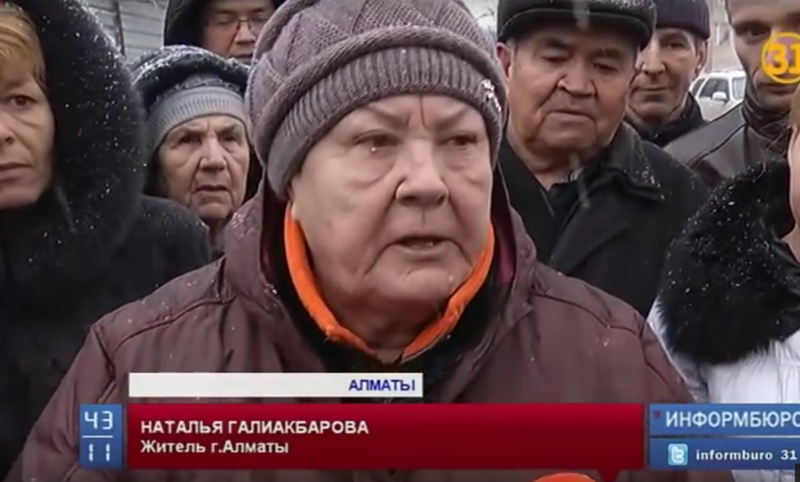 This time it is residents of an area of the business capital, Almaty, that have come out in protest over what they say is the paltry compensation being offered to them for the compulsory purchase of their homes. Over the weekend, privately owned Channel 31 reported that some residents are being offered as little as 300,000 tenge ($1,000) for their homes and land, which lie on the route of a planned ring road. Almaty has for many years been plagued by chronic traffic jams, prompting the authorities to embark on several ambitious road building projects to alleviate the problem. Doing so, however, has required them to pursue the demolition of swaths of often ramshackle homes that sprung up around the city limits in the years following independence. This latest route has been designed “strategically important” and is intended to link to the northern districts of Almaty to the center. The bulk of traffic coming in that direction currently runs along one single road — Seifullina — and invariably cars get horrendously clogged up at peak hours. Plans for the new road has been on the drawing table for many years, although work is only now going ahead. After working out valuations for the houses set for removal, the city government sent out sale agreements that in some instances ranged between 300,000 and 700,000 tenge ($1000-$2,200) — an amount that would pay for only a few months of apartment rental costs in the city. “Where are we supposed to live after getting 360,000 tenge? Why are they throwing us out of our homes to live in cardboard boxes,” Galiakbarova said. More than 70 residents are affected by the planned demolitions. City hall has sad that it is following the letter of the law in drawing up its valuations. Officials argue that if the land was initially endowed to the owners by the state — as seems to have been the case here — then the estimate is based on the value set by the authorities and not as dictated by the market. Indeed, at the height of the oil boom, which began its inexorable decline some years ago, a patch of land of the size owned by Galiakbarova could have sold for many tens of thousands of dollars. The deputy head of the Almaty city hall land department, Ardak Samabetov, told Channel 31 that if residents are unhappy with their offers, they can appeal in court. The final compensation package will be decided by the courts, he said. The notion that some residents, who include single elderly pensioners, would be in a position to start filing court cases is fanciful, to say the least.